As parts of Australia set heatwave records and the government considered building new coal-fired power stations, the vast continent to the south last week quietly marked a milestone. 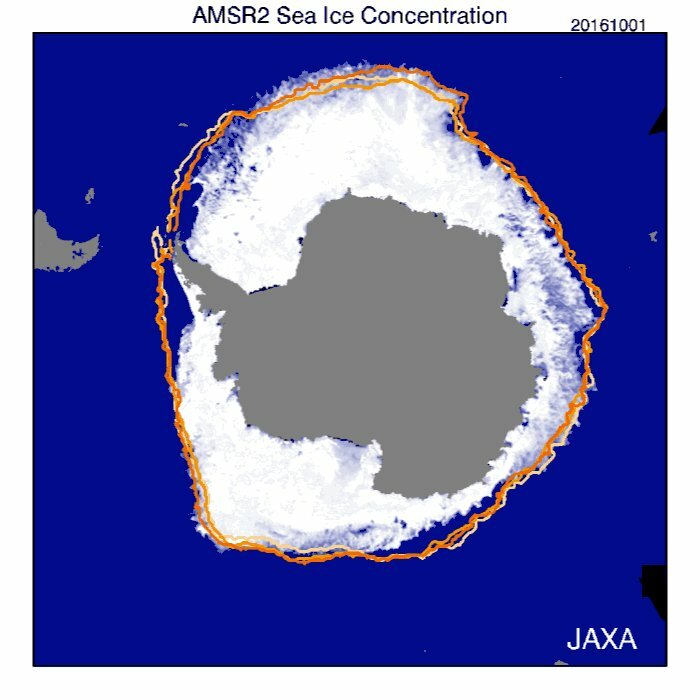 The spread of sea ice around Antarctica melted to the lowest level recorded. 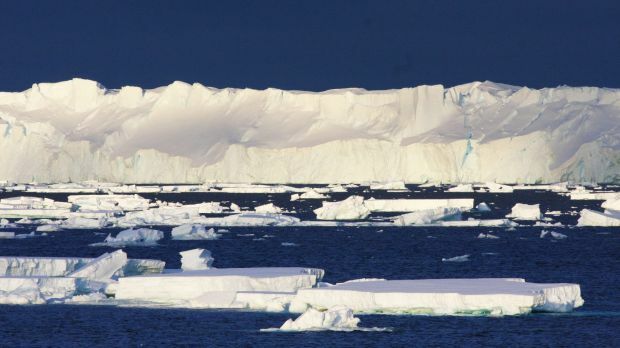 "It's a new record, and it might actually go a little bit further south yet this summer," said Jan Lieser, a marine glaciologist with the Antarctic Climate and Ecosystems Cooperative Research Centre in Hobart. 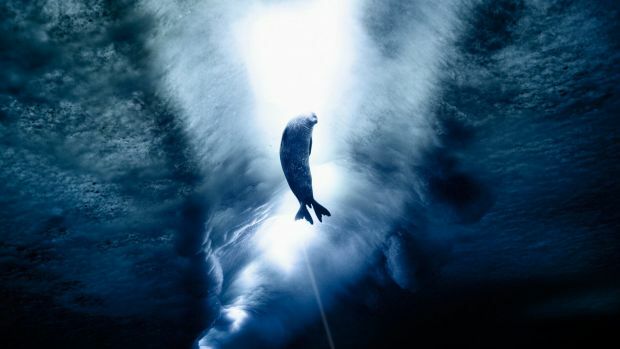 It is the latest in a string of events this summer that has increased global attention on the southern continent, which is home to 90 per cent of the world's ice. 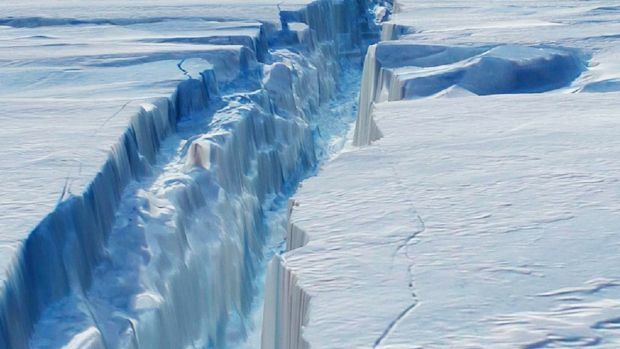 A crack in the Larsen C ice shelf grew 17 kilometres in December. A crack in Larsen C, one of the world's largest ice shelves, grew about 17 kilometres in December, increasing expectations that a 5200 square kilometre chunk – about half the size of greater Melbourne – would soon break away. Earlier this month, a smaller iceberg about the size of Manhattan calved into the ocean from Pine Island glacier. More significantly, Australian and US scientists reported unprecedented ocean observations that showed Totten glacier, the continent's largest, is more exposed to warmer ocean waters and less likely to be stable than previously thought. The research published in the journal Science Advances found the ice shelf was shedding between 63 and 80 billion tonnes of mass each year, equivalent to an annual loss of about 10 metres of thickness. It is partly offset by an increase in snow in other parts of Antarctica. No one of these events can be attributed to human-induced climate change, but scientists say they are noteworthy. They follow years in which people who do not accept mainstream climate science have claimed an expansion in Antarctic ice as evidence at odds with global warming. A reduction in sea ice is in line with projections as the planet warms. To date, the Antarctic has told a different story to the Arctic, where there has been a significant reduction in summer sea ice in recent years. The US National Oceanic and Atmospheric Administration has reported temperatures spiking up to 30 degrees Celsius above the long-term average in Greenland this northern winter. In the south, each day this summer the extent of frozen sea has been the lowest recorded for that date since 1979, when satellite data was first collected. Dr Lieser said the lowest extent to date was last Tuesday, when it fell to 2.224 million square kilometres – an area roughly the size of Tasmania less than the previous low in 1997. It comes just two years after scientists reported a record high ocean sea ice extent. He said a fall in sea ice coverage brings a feedback effect. White ice reflects heat, but darker water absorbs it. Whenever there is less sea ice, more heat goes into the ocean, delaying freezing the following winter and likely contributing to a further reduction over time. The ramifications would flow through the food chain. Sea ice is a crucial habitat for krill, a key link in ocean ecosystems. "It affects all species that rely on krill, which is all the higher predators – penguins, seabirds, whales and the like," Dr Lieser said. CSIRO oceanographer Steve Rintoul, lead author of the Totten glacier study, said cumulative evidence was needed before it was known whether any of the events witnessed could be attributed to global warming, though some were in line with projections. "Each iceberg calving event is part of a natural cycle, the question is whether climate change is going to increase these events. Just as climate change increases the odds of a heatwave, it changes the odds of icebergs calving," Dr Rintoul said. The new sea ice low comes as a team of international scientists is in east Antarctica aboard CSIRO ship RV Investigator drill for sediment cores to get a better understanding of what happened millions of years ago when glaciers melted and sea level was 25 metres higher than today. Led by Macquarie University's Leanne Armand, they are working in area where the seafloor was previously unmapped. "We are really trying to nail the response in the oceans to warm periods in the past," Dr Armand said from aboard the CSIRO ship RV Investigator. 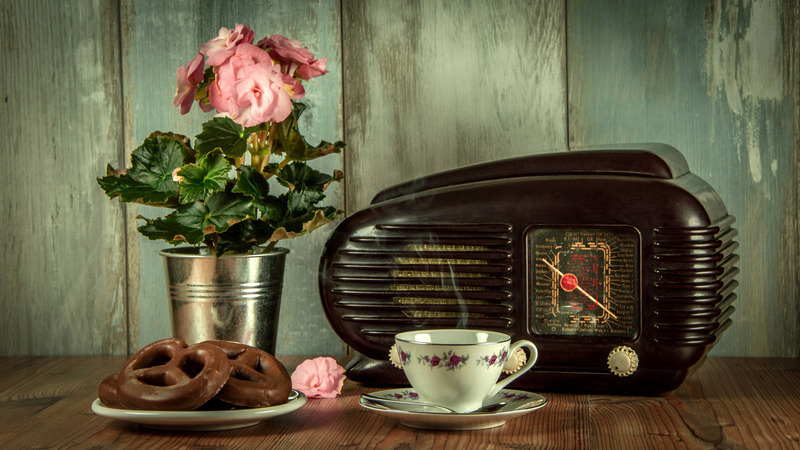 "The best analogue there is the Pliocene: around three-to-four million years ago, when we had similar CO2 levels to today, it was two-to-three degrees warmer, however sea level was up to 25 metres higher than it is today." Among the things not yet known about the fall in sea ice coverage this year is whether there has been a corresponding fall in sea ice volume, or whether the ice has increased in thickness in the areas still covered. Volume is key – sea ice formation drives global ocean circulation. A reduction would have ripple effects across the planet's climate system.